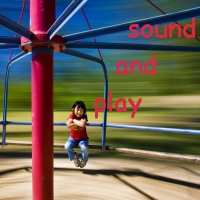 Remixing Girl Talk: The Poetics and Aesthetics of Mashups | Sounding Out! Peter DiCola’s analysis of Girl Talk is astute, on point, and insightful. So instead of quibbling with him about arcane or subjective matters, I’ll try to add a bit of aesthetic and cultural analysis to his legal and procedural observations. 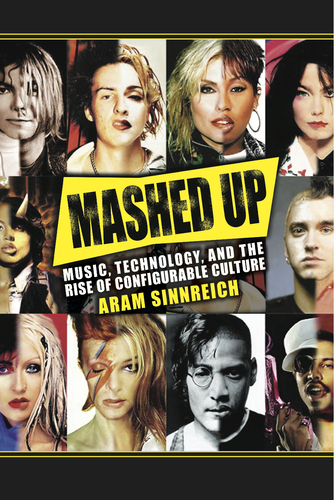 First of all, it’s important to point out that Girl Talk is not a typical mashup artist, and in fact many of the DJs I interviewed for my book Mashed Up: Music, Technology, and the Rise of Configurable Culture (University of Massachusetts Press, 2010) don’t really view him as one of their own. This isn’t simply because he exceeds the standard, 2-song “A plus B” technique that serves as a basic template for the form; after all, Osymyso was mashing together hundreds of songs at a time back in the early 2000s, and he’s downright canonical. Rather, it’s because Girl Talk is more improvisatory, and less formalistic, than most other mashers. Of course, improvisation has been a central element of DJing at least since Kool Herc first started beat juggling between two decks. And some contemporary mashup DJs, like Z-Trip and TradeMark G, are rooted in live, on-stage improvisation. But these are the exceptions, not the rule. If sample-based music describes a spectrum between what we traditionally think of as performance and composition, the vast bulk of mashup artists tend to see themselves on the composition side of the fence. They assemble the mashup in the studio, then play it “as is” in the club, just as they would play any other record. As DJ Earworm told me, “a good mashup artist is a good composer. Because, you know, you’re moving these parts around and giving it new form.” While Girl Talk certainly lives up to this description on albums such as “All Day,” his live, improvisatory performances are something else altogether. An interesting point DiCola raises is the prevalence of what he calls the “name-that-tune” critique of the mashup aesthetic, the claim that they “have no intertextuality or deeper meaning.” Not only is this claim unjustified, it completely misses the point. The problem is, these critics think of mashups as simply another example of paper-thin postmodernism. This couldn’t be further from the truth; in fact, you could call mashups post-postmodern. To illustrate my point, let’s take a look at an earlier art form that looks a lot like mashup at first glance: the cut-up. Cut-ups were a kind of literary collage popular among avant-garde writers like William Burroughs and Brion Gysin in the mid-20th century. As the technique’s name suggests, writers would cut existing, finished texts into pieces, and then tape them back together in random fashion, thus generating surprising and provocative new juxtapositions and grammatical logics. The cut-up was the very essence of postmodernism: it aimed to disrupt the “master narrative” of linear thought and force the reader to confront its limits head-on. In other words, it was a reaction to, and an inoculation against, high modernism. Mashups use similar techniques to achieve the opposite effect. We no longer live in a modern world, in which all information is forced to hew to a single, objectified model of reality. Postmodernism has not only successfully exposed and disrupted the hidden power dynamics of the master narrative, but produced a cultural environment in which an endless parade of symbols float unmoored in a sea of chaos and contradiction. The role of the mashup is to restore some semblance of order to this maelstrom, by stitching together the disparate symbols with a genealogical thread. Every sample in a mashup means something, and brings its entire cultural history trailing behind it. Thus, while the cut-up is named for its ability to sever signifier from signified, the mashup is named for its power to suture them back together (albeit in different combinations and permutations). This is the point that critics miss: the mashup isn’t an expression of postmodern nihilism, but an argument against it. The final point of DiCola’s I’ll touch upon is the concept of originality, as it applies to a cultural form that consists entirely of “borrowed” work. As he observes, the question of whether a given mashup is original or not is almost moot when it comes to questions of transformativity and “fair use”; the very fact that people argue about it demonstrates that creative forces are at work. Yet it’s also interesting to look at how the originality arguments play out. I devote an entire chapter of Mashed Up to exploring the various techniques DJs employ to differentiate between innovative and derivative work, as well as the ways in which they’ve moved beyond the distinction altogether. Commonly cited markers of originality in mashups include: how well a DJ selects his source materials; how the samples are arranged, both spatially and temporally; how the samples are transformed using digital processing techniques; and even textual interplay between the lyrics of the songs he’s chosen. In combination, these factors can describe a given DJ’s “signature” style, as distinctive as a saxophonist’s phrasing and tone, or a rapper’s rhyme and flow. One could spend countless hours dissecting the mashup aesthetic and debating its legalities, and having done so myself, I can attest that it’s time well spent. Ultimately, however, the form’s significance outstrips even these weighty dimensions of analysis. What makes the mashup most interesting to me isn’t the question of what an individual work means, or whether it’s legitimate in the eyes of the copyright office, but rather how it’s produced (and reproduced) in the first place. 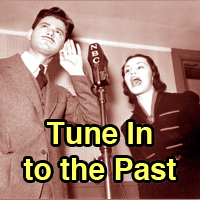 Our mode of musical production is always a harbinger of social changes to come, and the mashup has a lot to say about what lies in store for us as a globally connected, digital society. By blurring the lines between artist and audience, original and copy, the mashup fundamentally rejects the atomistic assumptions that undergird our legal, economic and political institutions. The millions of people who participate in the process of re-imagining a song comprise a kind of “collective subjectivity” as cohesive and amorphous as a storm cloud, and like a cloud, their actions only have meaning in aggregate. Dr. Aram Sinnreich is an Associate Professor and chair of the Communication Studies division at American University’s School of Communication. Sinnreich’s work focuses on the intersection of culture, law and technology, with an emphasis on subjects such as emerging media and music. He is the author of two books, Mashed Up (2010), and The Piracy Crusade (2013), and has written for publications including The New York Times, Billboard, Wired, The Daily Beast, and The Conversation. Prior to coming to AU, Sinnreich served as Associate Professor at Rutgers University's School of Communication and Information, Director at media innovation lab OMD Ignition Factory, Managing Partner of media/tech consultancy Radar Research, Visiting Professor at NYU Steinhardt, and Senior Analyst at Jupiter Research. He is also a bassist and composer, and has played with groups and artists including progressive soul collective Brave New Girl, dub-and-bass band Dubistry, and Ari-Up, lead singer of the Slits. Along with co-authors Dunia Best and Todd Nocera, Sinnreich was a finalist in the 2014 John Lennon Songwriting Contest, in the jazz category. One nice aspect of mashups, to which you allude in the epigraph of Mashed Up, is the way in which “Girl Talk” acts as a moniker for a community, just as much as it acts as the stage name for an artist. Mashups, as a genre or dialogue between genres, seems to eschew artist identities and star texts in ways that many music forms do not. As a result of being unable to go through the same commercial avenues that other “standard” genres go through, mashups seem to have numerous invisible, unknown, and obscure creators. For example, the Youtube community is teeming with popular and much-watched mashups by little-known or anonymous creators. In this way, mashups appear to have a lot in common with internet memes and gifs. They evidence a participatory ethos in which networked interaction (peer-to-peer) takes precedence over hierarchical interaction (artist-to-audience). 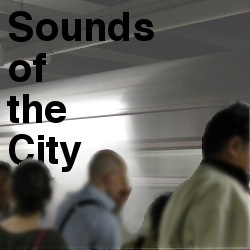 This participatory climate online enables individuals to stitch together niche music into a connective tissue–transforming what you call a “parade of symbols” into a meaningful network. In fact, the impulse to forge networks might be the mashup metanarrative itself, making mashups a stark departure from postmodern nihilism.